Kirsten Menking conducts research on past climate change, on landscape evolution due to climatic and tectonic processes, and on the impacts of urbanization on streams. 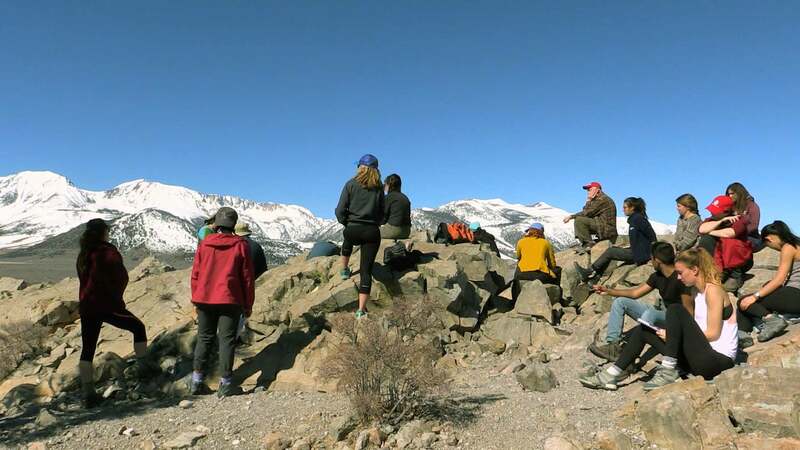 For her dissertation she took part in a US Geological Survey Project to study sediments from Owens Lake in eastern California where she reconstructed cycles of glaciation and lake level change over the last 800,000 years. More recently she has worked on the climate record contained within Lake Estancia in central New Mexico and on the late glacial and Holocene history of southeastern New York. The latter work has taken her to lakes in the Shawangunk Mts. and to Lozier Pond, a small lake from which the Hyde Park mastodon was unearthed in 2000. With colleagues in Geography, Biology, Chemistry, and Urban Studies, she also carries out investigations on road salt and nutrient contamination of streams in Dutchess County, New York. Menking, K.M., Peteet, D.M., and Anderson, R.Y., 2012, Late-glacial and Holocene vegetation and climate variability, including major droughts, in the Sky Lakes region of southeastern New York State, Palaeogeography, Palaeoclimatology, Palaeoecology, v. 353-355, p. 45-59. Cunningham, M.A., Menking, K.M., Gillikin, D.P., Smith, K.C., Freimuth, C., Belli, S.L., Pregnall, A.M., Schlessman, M.A., and Batur, P., 2010, Influence of non-impervious area on longitudinal recovery of an urban stream, Physical Geography, v. 30, doi: 10.2747/0272-3646.30.3.269. Cunningham, M.A., O’Reilly, C.M., Menking, K.M., Gillikin, D.P., Smith, K.C. *, Foley, C.M. *, Belli, S.L., Pregnall, A.M., Schlessman, M.A., and Batur, P., 2009, The Suburban Stream Syndrome: Evaluating Land Use and Stream Impairments in the Suburbs, Physical Geography, v. 30, p. 269-284. Menking, K.M., Schneiderman, J.S., Nester, P.L., Bedient, K.D. *, Collins, B.C. *, and Feingold, B.J. *, 2008, Lithology and stratigraphy of core LP2A from the Hyde Park mastodon site, southeastern New York, Palaeontographica Americana, v. 61, p. 143-150. Merritts, D.J., Menking, K.M., and DeWet, A.P., 2014, Environmental Geology: An Earth System Science Approach, 2nd Edition, New York: W.H. Freeman and Company. Menking, K.M., 2000, A Record of Climate Change from Owens Lake Sediments, in Schneiderman, J.S., ed., The Earth Around Us: Maintaining a Livable Planet. New York: W.H. Freeman and Company, p. 322-335. Menking, K.M., 2000, chapter summaries and thought questions, in Earth Issues Reader, New York: W.H. Freeman and Company, 132 p.
Merritts, D.J., DeWet, A.P., and Menking, K.M., 1998, Environmental Geology: An Earth System Science Approach, New York: W.H. Freeman and Company, 452 p.
AB, Geology, Occidental College, Los Angeles, California, 1990. PhD, Earth Sciences, University of California, Santa Cruz, 1995. After obtaining her PhD, Kirsten worked as a visiting assistant professor at Franklin and Marshall College in Lancaster, PA where she co-authored an environmental Geology textbook with colleagues Dorothy Merritts and Andrew DeWet, currently in revision for a second edition to be published in 2014. Kirsten joined the faculty at Vassar in the fall of 1997. She teaches courses in introductory environmental geoscience (Earth, Environment, and Humanity), introductory environmental science (Essentials of Environmental Science), surface processes and the evolution of landforms (Geomorphology), groundwater flow and contamination (Water), deformation of rocks (Structural Geology), and Earth’s history of climatic change (Paleoclimatology). 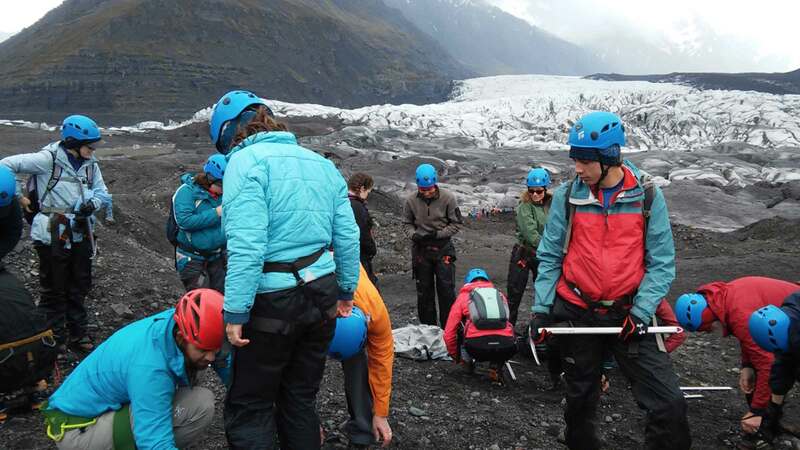 She has also taught a number of fieldtrip courses through the Environmental Studies program, taking students on excursions to the Pacific Northwest, Bahamas, and Louisiana to study a range of environmental phenomena and problems. In teaching, she enjoys relating the material to students’ everyday experiences and using hands-on experiments to illustrate Earth and environmental science principles.